Gov.-elect Kevin Stitt speaks at the Republican watch party on election night at the Bricktown Events Center. But Stitt will need allies in the Legislature and at key state agencies to make good on those promises. He also needs a team of experts to advise him on the inner workings of state government during the transition to his Jan. 14 inauguration. Here’s a checklist of some of the promises Stitt made during the campaign, based on statements he made in writing, debates and interviews, as well as challenges he may face in meeting his benchmarks. Being a top 10 state in education can mean various things, including funding, teacher pay, school facilities and standardized test scores.As a point of clarity, Stitt said better education outcomes will help drive the state into the “top 10.” His education plans emphasize teacher recruitment, fewer mandates and increasing collaboration among K-12 education, career and technology education and higher education. Stitt also wants to simplify the state’s school funding formula and give local districts additional flexibility under the formula. By the 2019-20 school year, Stitt said he wants to bring teachers’ average compensation to the highest in the region. He also wants the state to provide up to $5,000 in matching funds for signing bonuses for new, certified teachers or teachers returning to the classroom after a two-year hiatus. He has not identified a funding source or cost estimate for either of the policies. He would need legislative approval for the appropriation. Oklahoma ranks third in the region in average teacher compensation, including the average $6,000 boost teachers received this school year, according to the state Department of Education. Stitt has said his vow is not to make the state first in per-pupil funding, only regional teacher salaries. His plan addresses test scores indirectly, beyond vows to “reform the testing process.” Test score improvements would come through career and vocational preparation and teachers’ greater awareness of students’ progress. Oklahoma has a ways to go in academic achievement. Students scored below the national average in fourth- and eighth-grade reading and math on the 2017 National Assessment of Educational Progress, a widely used measure of student performance across states. Stitt faces hard choices: He has spoken out against higher taxes and said he would have vetoed the tax bill that funded teacher pay raises this year. State Superintendent Joy Hofmeister and education groups want a large boost in funding to reduce class sizes and improve academic performance. Stitt wants the Legislature to give the governor more power to directly hire and fire agency heads. He will come into office with plenty of appointment power over agencies, boards and commissions. But the governor’s power to remove agency leaders after their appointment is limited to just a few agencies, including the Department of Human Services and, beginning in 2019, the Oklahoma State Department of Health. Other agencies continue to hire, and sometimes fire, agency heads through their governing boards. Any change in this area would need legislative approval. Stitt also said he wants to increase transparency for taxpayers by putting details of state spending online, including updating the state’s “online checkbook” system. That is currently housed on the State Treasurer’s website and the Open Books site at the Office of Management and Enterprise Services. Taking a page from his business experience, Stitt said he wants agency leaders to provide performance metrics to track the efficient delivery of government services. 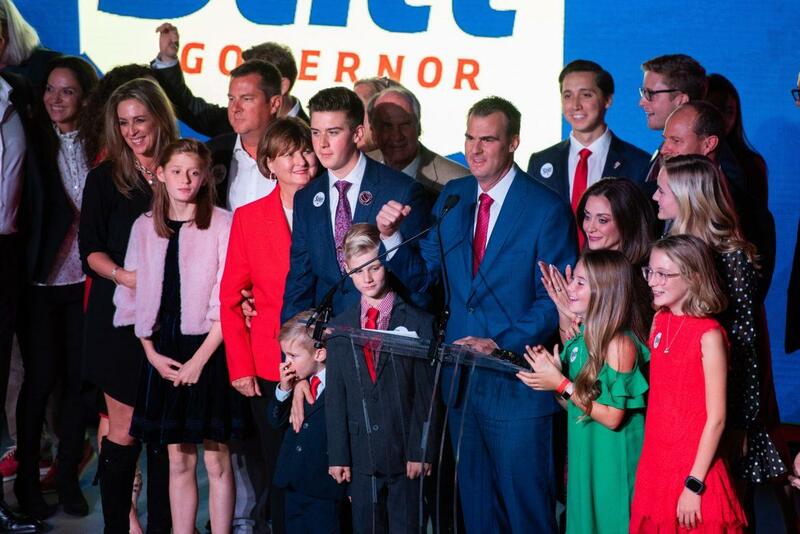 “On the first day of a Stitt administration, we are going to start reforming state government so that it is delivering accountability and transparency for hard-working Oklahomans,” he told the Curbside Chronicle. Much of the state’s spending, including payroll and check registers, is already online, but it’s scattered and complicated to navigate. Any transparency improvements likely could come from executive orders to agency heads and the Office of Management and Enterprise Services. Stitt wants to keep Oklahoma on the path of criminal justice reform. On the campaign trail, Stitt said several times he wants to lower the state’s prison population and find more front-end help for non-violent drug offenders. Voters in 2016 approved reclassifying a number of felonies as misdemeanors. But prosecutors and some legislators have resisted applying those changes retroactively and downgrading more offenses. Even with the changes, the state’s prison population is likely to keep growing. An opponent of Medicaid expansion, Stitt said he wants to audit the state’s Medicaid system and make it a “trampoline, not a hammock.” There are more than 796,000 people in the state’s SoonerCare system, with children making up two-thirds of them, the agency’s latest enrollment figures show. Stitt said he wants to expand telemedicine to help rural health care. 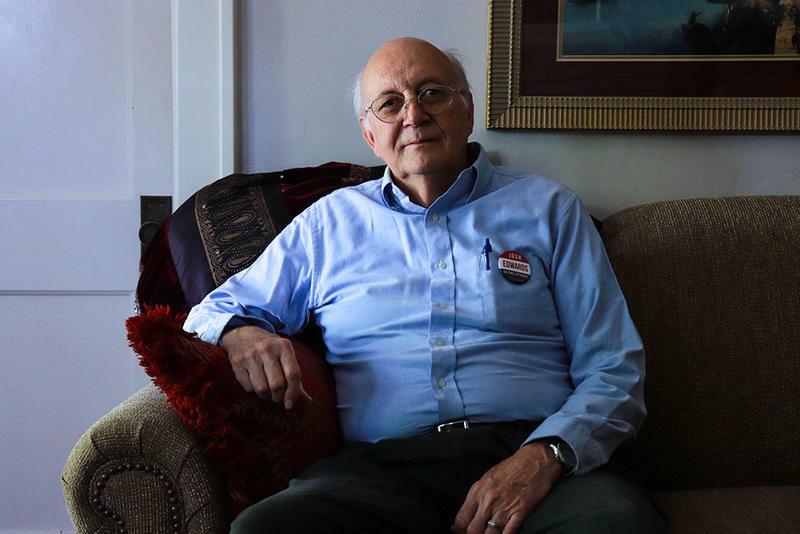 He also wants to work with the state’s new insurance commissioner, Glen Mulready, to explore state compacts to sell health insurance across state lines. Any big changes to the state’s Medicaid program would require federal approval and likely legislative authorization as well. 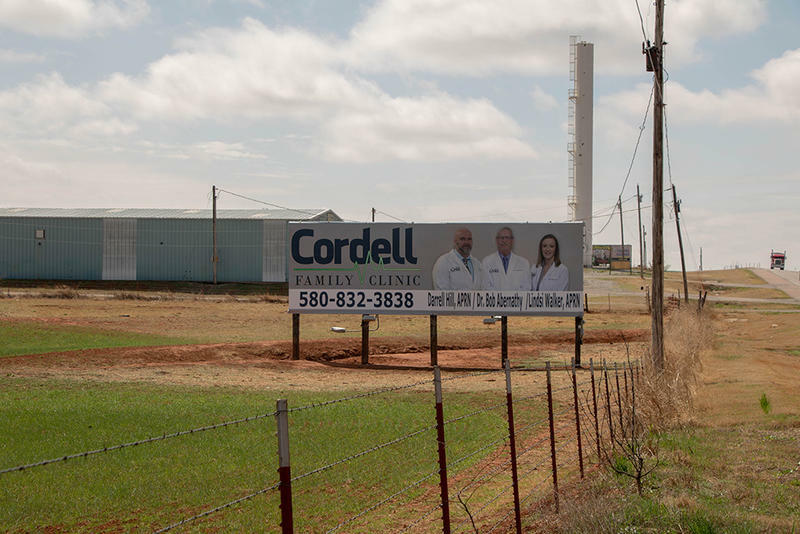 The Trump administration has been welcoming toward Medicaid reforms but is not a rubber stamp; regulators denied Oklahoma’s request to continue using Medicaid dollars to supplement doctors’ pay at the state’s two medical schools. In addition, the Legislature and Gov. Mary Fallin have tasked the health care authority with implementing work requirements on able-bodied adults on Medicaid. Improvement in the state’s health rankings could come about a number of ways. One of the most commonly cited lists, the annual America’s Health Rankings from UnitedHealth Foundation, includes dozens of measures, such as obesity and smoking rates and the number of low-birthweight babies. Because Oklahoma ranked No. 43 in the composite report, improvement in any of the individual measures could arguably be considered success. The Oklahoma Department of Transportation develops eight-year work plans for roads and bridges and just released its latest plan for 2019 to 2026. Those plans get updated each year to reflect changes in state and federal funds and the priorities of state leaders. The plans are approved by the eight-member Transportation Commission. A 2017 report from Trip, a national research group, ranked Oklahoma 10th in rural roads in poor condition and seventh in structurally deficient rural bridges. Stitt said his focus on government modernization, education and other areas should help propel job growth in the state. Oklahoma’s job market has recovered from the problems it encountered in 2014 and 2015 when lower energy prices depressed the state’s economy and caused the loss of thousands of jobs in the energy sector as well as contributing to significant revenue shortfalls for the state budget. The latest unemployment numbers showed the state had an unemployment rate of 3.5 percent in September, below the national rate of 3.7 percent. Oklahoma’s unemployment rate has been falling or holding steady each month since it was 4.5 percent in September 2017. In the past year, Oklahoma has added 34,000 jobs, a growth rate of 2 percent from September 2017. Compared to other states, Oklahoma tied with California for 15th place among the states for job growth. Florida led all states for job growth in the past year with a 4.8 percent increase. Integrity, experience and a plan for change are the keys to some voters’ support in Hughes, Pontotoc and Seminole counties, which are all represented by the same district attorney’s office.